Black Biker Tshirt is Available for Men, Women in 6 Different Sizes. 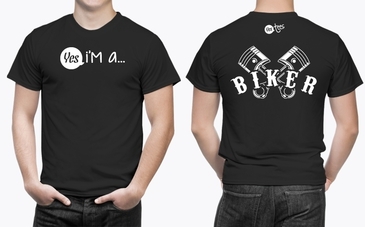 Black Biker T-Shirt Available in 5 Different Sizes. Black Biker Tshirt Available in 5 Different Sizes. 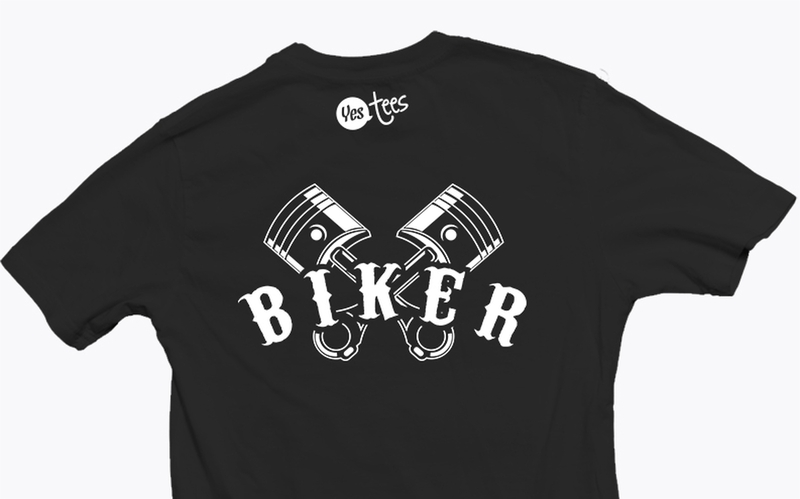 White Biker Graphic on a Black Tshirt. Style: Premium Black T-Shirt for Beer Lovers. 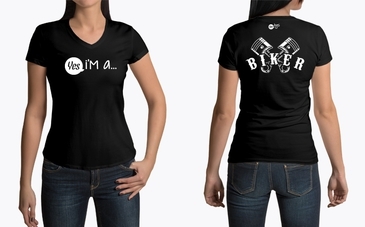 Comfortable, casual and loose fitting, our heavyweight black color T-Shirt will quickly become one of your favorites. Made from 100% combed and ring-spun cotton, it wears well on anyone. 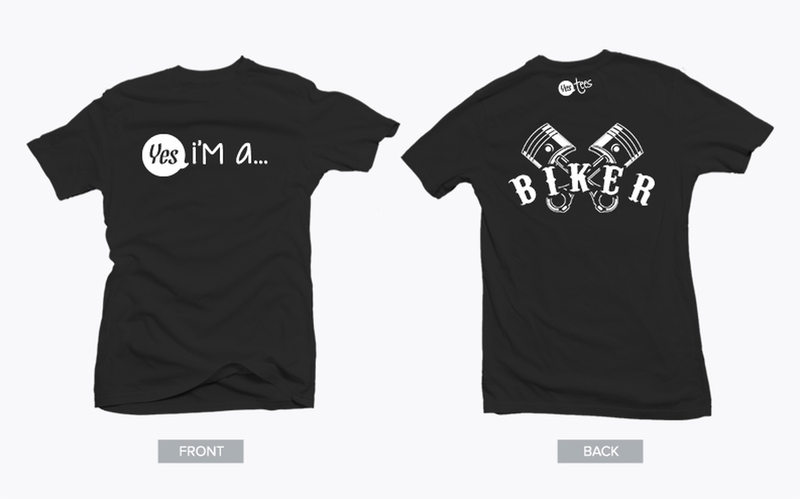 Select a design from our marketplace or if you would to wear a different Biker T-Shirt, let us know! Are you or someone you know a biker? Do you like to spend your days on the back of a motorcyle with the wind in your hair and the bugs in your teeth? 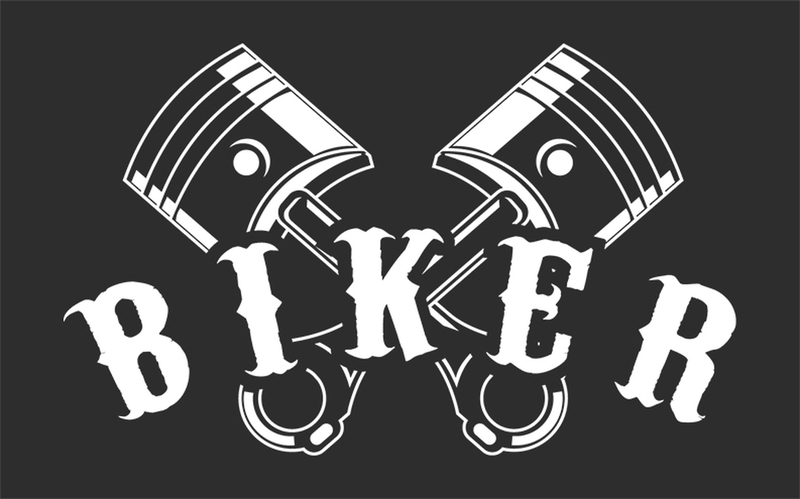 If so, you're a biker. You know there's nothing like the freedom of the open road and the sound of your roaring motor. Whether you're drive a Harley Davidson, Triumph, Honda or Kawasaki - gasoline runs deep through your veins. 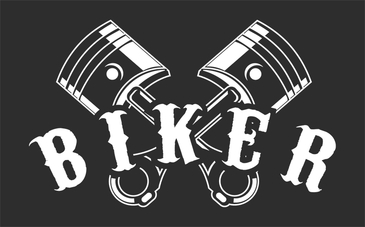 Being a biker isn't a hobby - it's a lifestyle. Your hog is charriot and prized possesion. 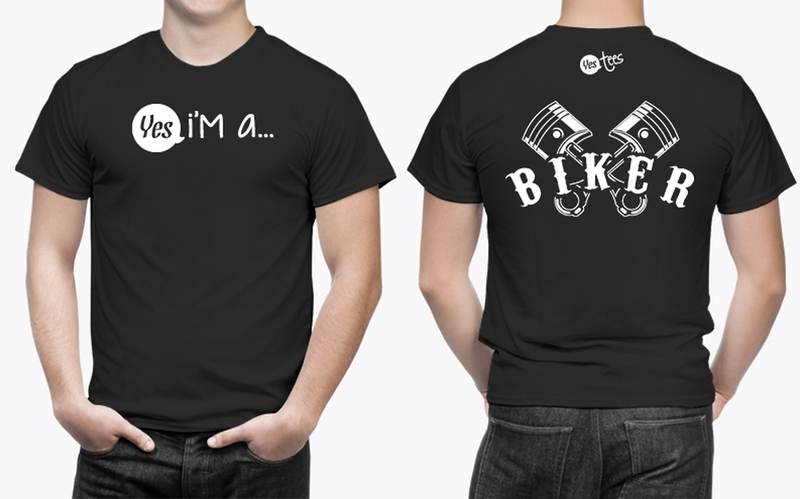 Everyday errands, biker rallies or joy rides - you ride your motorcycle every chance you get. You're a free spirit and a master for the roadways. Bandannas and leather jackets are a regualr part of your wardobe - and thanks to YesTees - so can this biker T-Shirt!